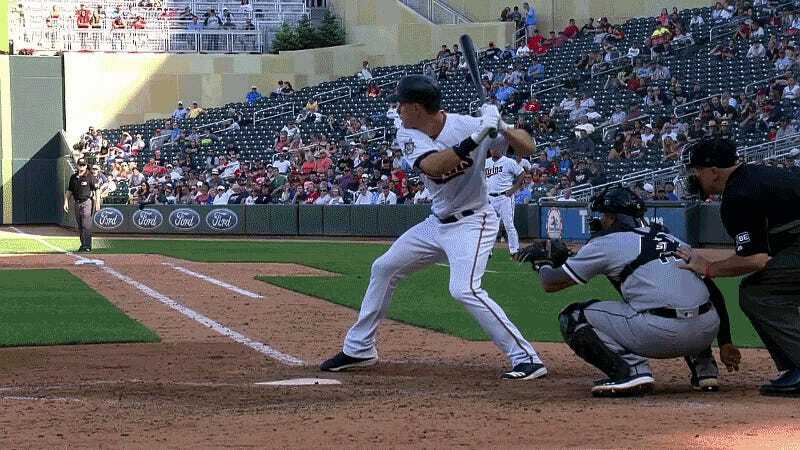 What you are looking at here is Max Kepler of the Minnesota Twins fouling a pitch off not one but two of his legs. That is, by rule and interpretation of the MLB rulebook, a foul ball. Kepler was called out, 1-3, and the inning was ended. 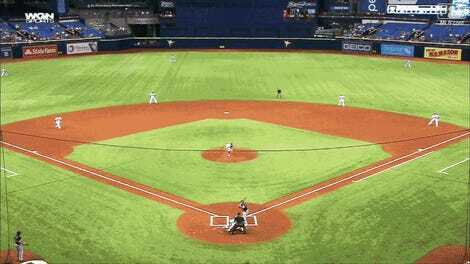 How Did Umpires Declare This A Home Run?